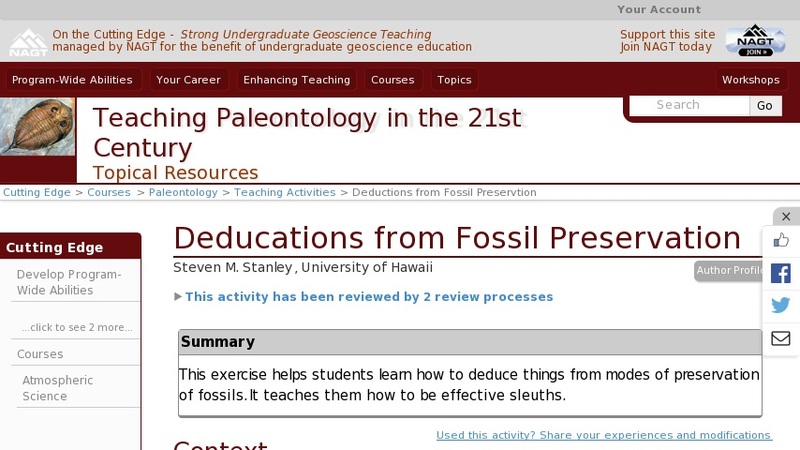 Students will view fossils, sometimes with supporting illustrations, and answer questions about them via deductive reasoning. The exercise is highly interactive, with the instructor providing hints and helpful questions. The questions concern ways in which fossil preservation reveals information about things like what kind of organism the fossil represents, how that organism lived, and how the fossil came into being.